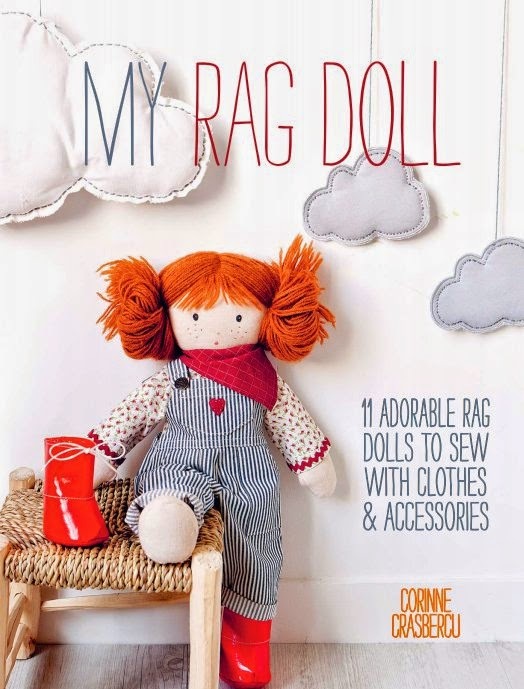 My Rag Doll - blog hop plus giveaway! Hello friends, I hope you're enjoying the long weekend! 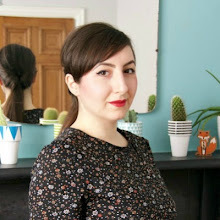 I'm excited to be taking part in Stitch Craft Create's My Rag Doll blog hop today - reviewing a really gorgeous book by Corinne Crasbercu, inspired by the world of Sarah Kay and Beatrix Potter. 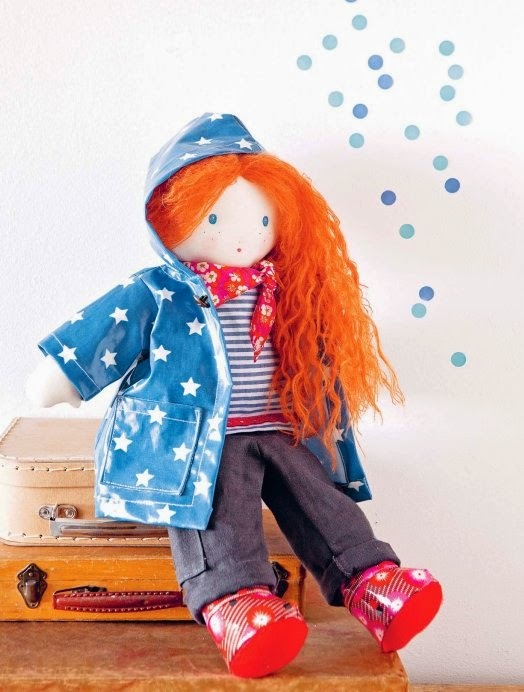 This beautifully illustrated book takes you through making 11 different rag dolls with clothes and accessories, but the possibilities are vast if you let your imagination go wild! Personally speaking, this book the ideal inspiration for gifts for my many pregnant friends and their babies. Equally though, how fun would it be to actually sew these sweet little rag dolls up with your own children?!? 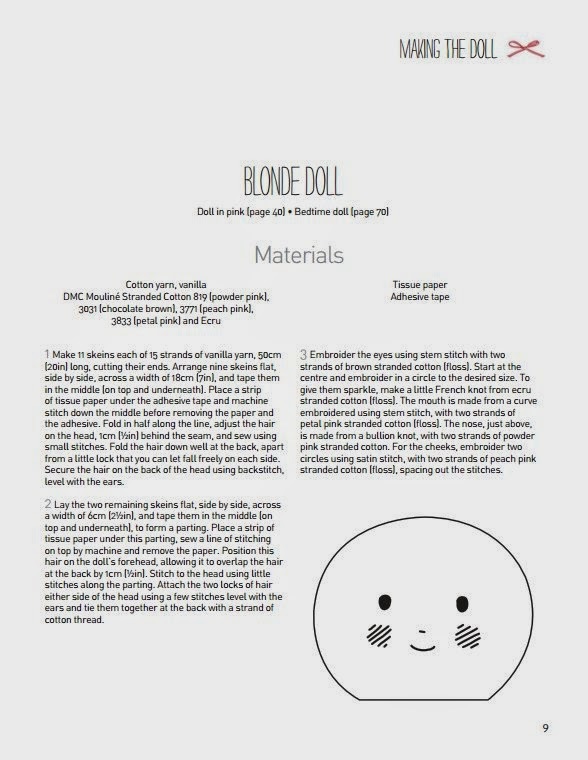 It takes you through making dolls with five different hair colours and facial characteristics, which you can then stitch all manner of clothes and accessories for. 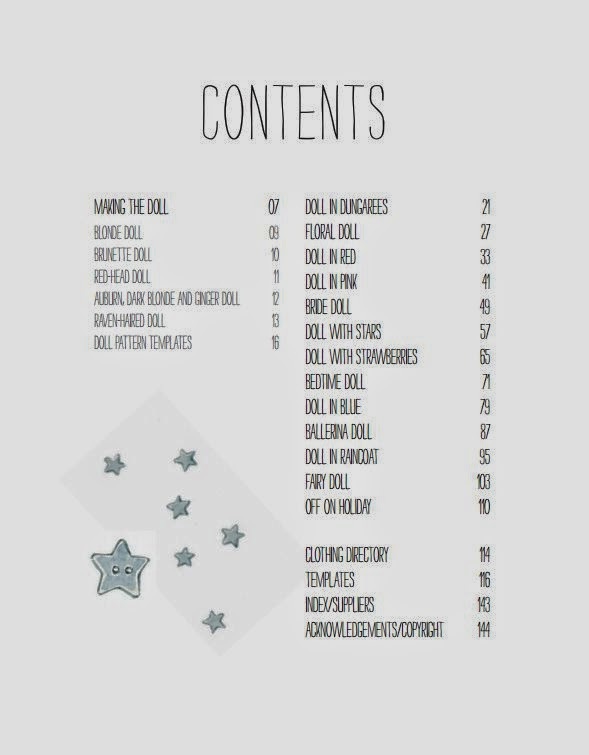 Although the dolls aren't exactly complicated to make, the lack of illustrative diagrams definitely make this book best suited to people with some level of stitching experience and knowledge, as opposed to absolute beginners. My other small criticism is that the pattern pieces are contained within pages of the book and must be photocopied and enlarged by a certain percentage. This can prove tricky as not everyone has a printer at home, let alone one with the necessary, advanced functionality. Small criticisms aside, it's undeniable that this book is an absolute gem. The photos alone get your creative juices flowing and there's a rag doll to cater to everyone's taste. 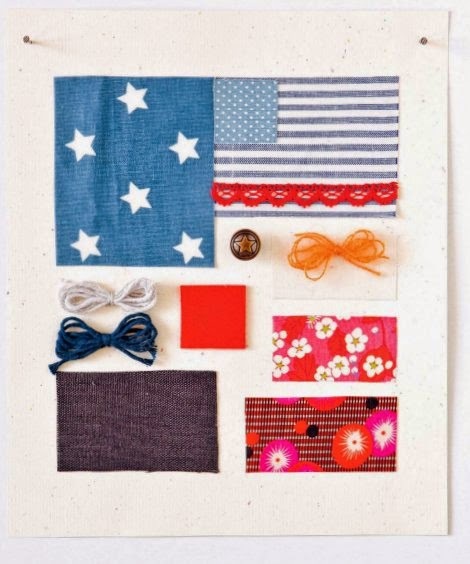 I particularly love that each doll is preceded by a super cute mood board for extra inspiration. Due to be released in May, you can already pre-order My Rag Doll, but Stitch Craft Create are also generously offering a free copy to one of my readers! If you'd like a chance to win, just leave me a comment by midnight GMT on Saturday 26 April. 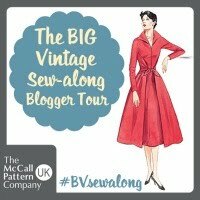 The giveaway is open internationally and after I pick a winner at random, I'll pass on relevant details to Stitch Craft Create, who will arrange delivery of the book once it's available. Those dresses are beautiful. I would like to make them for my grandaughter but I would be happy to make them for her rag doll. This book looks adorable! I was actually just thinking about trying to make a doll for my niece, who is soon to get a new baby brother or sister. I want her to have her own little present to help celebrate the birth of the new baby. This book looks perfect! I would love the chance to win, but I will definitely purchase if I don't. Thanks for the review! This looks a fabulous book - I would love to win a copy!! This book looks great. Thanks for the preview and thank you for the chance to win it. The outfits look so cute, I'd love to have a go at making them. The doll are just so cute. I'd love to sew one of these for my daughter! Pretty book, lots of ideas and I think I might be just able capable if I concentrate! Would love to win a copy. What a gorgeous book....you've certainly whet my appetite. I would love to sew these for my daughter. What a beautiful book, love the idea of being able to make these myself!! Lots of present ideas ahead....!! It seems everyone around me is having babies, and these would be perfect gifts! I've been wanting to make a rag doll for a little boy and judging by these pictures a lot of the clothing would work for a boy doll too! This book looks absolutely gorgeous! so cute! Thanks for the chance to win. This is such a cool book!! Would love to make several new Friend's for my Grangirlie!! The clothes & accessories are AWESOME!! Know she would love & care for them with soooo much Love too. So cute! My little girl would love a mum-made doll. 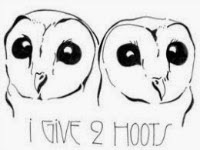 Count me in for the giveaway! Sew cute! I think I'd be happy making one for myself!! Wow what a gorgeous book!! 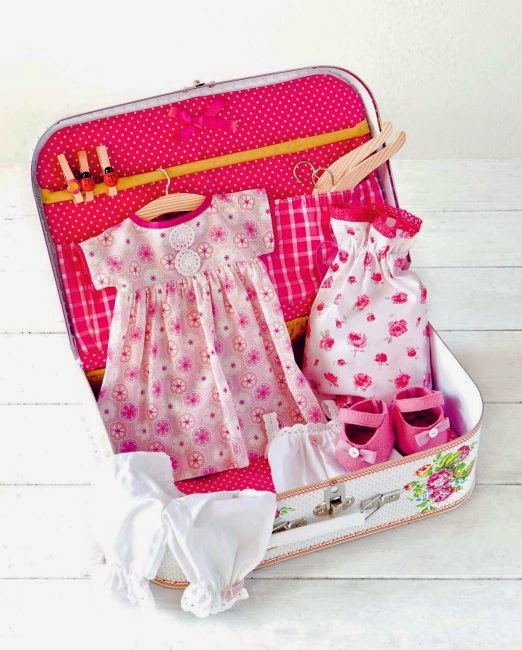 I have 2 little relatives I want to make dolls for, the outfits are just adorable. The book looks gorgeous! Thanks for hosting the giveaway, please count me in! So cute! 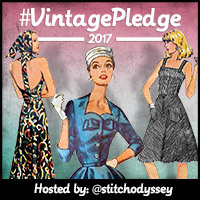 Lots of inspiration here - please put my name in the hat! Looks like a great book. I'd love a copy. I would love to win this book! The dolls are adorable and I have two young granddaughters. I love the book! And need it :-) it's lovely. What a beautiful book! I know I would love to make some of the dolls for my granddaugter. So thanks for sharing. This book is so cute! It would be perfect for me to have it. One of my best friend has a little girl and she will soon be baptized; it would make the perfect gift! Oh what a cute book! I would love to make those dolls for friends and family! These are so cute! I'd love to make several for my little girl. I have so many friends who are expecting and I would love to show up at the showers with handmade dolls... SWEET! My favorite childhood toy was a rag doll my mother made for me. I still have her, although she's quite a bit worn. I would love to make a doll for my daughter. Thanks for the wonderful giveaway. Looks and sounds lovely, would love to be entered. In the giveaway. cute love all the sweet dolls and their individual styles - definitely a must have. PLEASE PLEASE PLEASE MAKE ME ONE! She is so cute. Am I too old for a ginger rag doll? How adorable! These are definite keepsake dolls. 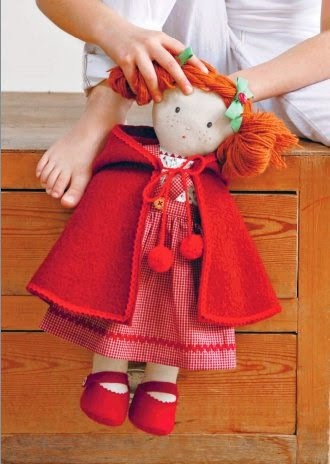 I have quite a few friends with little girls & these rag dolls would make perfect & unique gifts for them. Plus bonus follow up outfits. Four of my friends have baby girls (all less than a year old) and there is one more on the way. This book would be helpful for all the future birthday parties. Lovely book. Thank you for the giveaway. Thank you for the chance to win! I can't wait to check this book out. This book looks awesome, but I'm wondering how tall the finished dolls are? 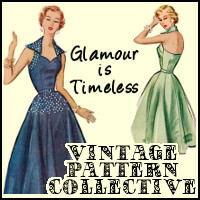 I have other doll patterns, but the clothes are great and they'd be lovely on our already-made dollies. Awesome, please count me in for the giveaway. I'd love a copy! I'm a doll girl at heart, even though I'm 42. This looks a lovely book, please count me in! 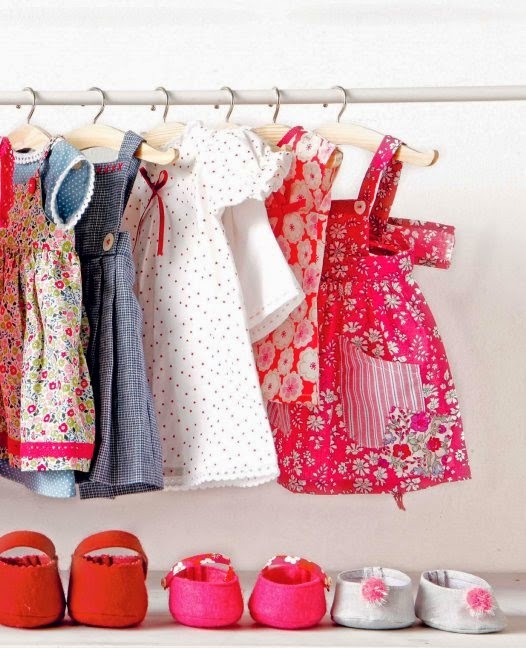 The dolls and their clothes are adorable, I would love to win a copy of this book! Lovely, count me in!! 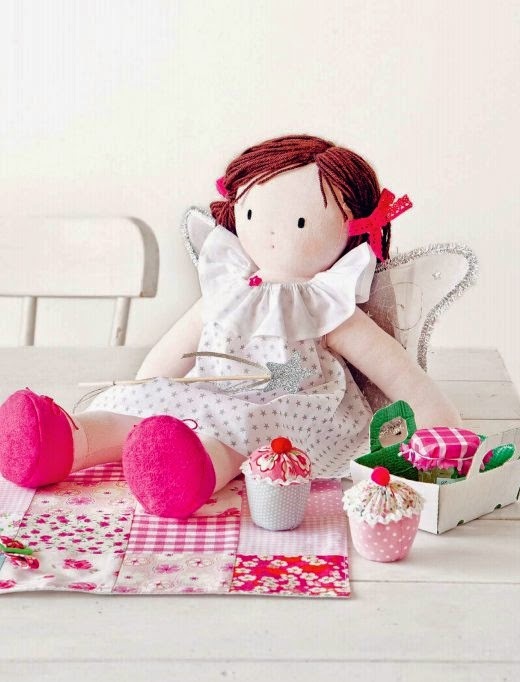 Will love to create dolls for my niece! I'd like to enter the giveaway. I have a lot of new babies in my extended family. This is such a gorgeous little book! Thanks for the preview! can somebody tell my how to attach the feet to the leg, the instructions are not very clear, would be better with diagram. On the cut out A to A is stitched as a dart. Then if you unfold a leg and join B on the leg to B on the foot top and on the other end there is no letter so you join this to end of curve on foot top. what this does is gives a rounded effect at bottom of leg. You then insert the sole A to A and C to C works great. I love the book, I bought it yesterday and have already read it through. What sweet dolls and such pretty clothing and accessories. This book is a treasure!